Q: Discuss the impact the Black Death had upon the Catholic Church and people’s faith; also discuss the flagellant movement and anti-Semitism that was prevalent during this time. The Black Death rocked the worldview of the Catholic Church. Like the destruction of the northern kingdom of Israel and Babylonian exile it seemed to contradict God’s promise of an everlasting kingdom of prosperity. The shear destructive power of the Black Death killed about 1/3 to 2/3 of the European population, disproportionally targeted the head providers of families who were males between the ages of 25 to 45, and clergy who ministered to the sick may have given the impression this was some sort of divine plague. This is the age old question of Job: why do bad things happen to good people? Was God angry at his people for some hidden sin? Were they not worshipping him properly? Or was it the sin of someone close by that God wants us to smite on his behalf? The flagellant movement where people whipped themselves to punish themselves of sin did gain a lot of momentum from the Black Death. Obviously all have sinned so we all deserve punishment. It must have been frustrating after whipping sin from our bodies and the divine punishment of Black Death was still there. Since obviously we are without sin having whipped it out, it must be someone else’s corporate sin like Achan who took plunder from Jericho and all of Israel was cursed. Like Joshua they had to stone those who sinned secretly so that God would bless them with victory again. The most obvious scapegoat was the Jews who rejected Jesus and have his blood on their hands. Is it easier to blame someone else or perhaps the act of blood and violence against oneself leads toward to the act against others? If one cannot love oneself, how can one love another? “I warn you I am not a stupid man. You obviously think I’m a stupid man, but that is just another instance where it is nice to have someone to hate; to look down on. All people are scared of losing the little worlds they’ve created for themselves, and if someone appears to be taking them away, then those fears are gone, because now those people can hate freely. Purgatory is the state of those who die in God’s friendship, assured of their eternal salvation, but who still have need of purification to enter into the happiness of heaven. One of the strangest things in Catholicism, but one that really makes the system work, is the idea of the treasury of merit. Probably the most important doctrine to Roman Catholicism is Purgatory because that’s a safety net. And if all goes bad here, you can land there and you can get out. That’s…Catholicism is a tough thing, it’s a hard sell because it’s legalism, right? You’ve got people trying to live virtuous lives, even the priests can’t do it, thousands upon thousands of them in our modern time and tens of thousands and hundreds of thousands through history have been immoral because false religion can’t restrain the flesh, right? So everybody is going to fall short, so therefore nobody can know they’re safe and so you’d say, “Well, I’m going to walk, I mean, this is too much, I can’t handle this.” But there’s a safety net there. If you just don’t do the really bad stuff, you’re going to end up in a waiting place and eventually you’ll get out of there. But the question is, how do you get out? How do you…how do you get good enough to get to heaven? How do you become righteous enough to get to heaven? Since most people aren’t going to earn heaven in this life, they’re going to end up in this place called “Purgatory,” which is from the idea of purge where you get purged, where whatever still remains of your wretchedness gets burned off by some kind of punishment for a period of time, likely for hundreds or thousands of years. This is the place where the sinners almost all of them go to. They fall short of the merit. They are there, they are purged and how does that happen? It happens one way, by having somebody else’s merit applied to you and by being purged by pain. Pain gains merit. So if you have enough pain for enough millennia, your pain earns you merit. But to speed the process and get you out sooner, somebody else’s merit can be applied to you and there happens to be in the Catholic world a treasury of merit. God has at His disposal excess merit. You tell me what kind of a system that is. Instead of saying, like the Bible says, that no man’s righteousness can earn him a relationship to God, you can get merit in order to inherit the Kingdom of God. In fact, you can get it before you die. In fact, you can buy it. That’s what indulgences are. You pay a fee, you get your forgiveness purchased, punishment canceled, merit applied, Purgatory shortened and you avoid temporal punishment. Back when I was a Roman Catholic if you walk through the door of cathedral during the Jubilee, you received an indulgence. That is, you had certain sins of the past forgiven. I tell you, those were crowded places, all you had to do was go through the door and there were certain doors, not all doors but certain doors spotted all over the place in certain cathedrals where you could go and get an indulgence. And here’s what happened. When you got that indulgence, you had the merit that was in the treasury of merit, the excess merit of Mary applied to you, credited to you. 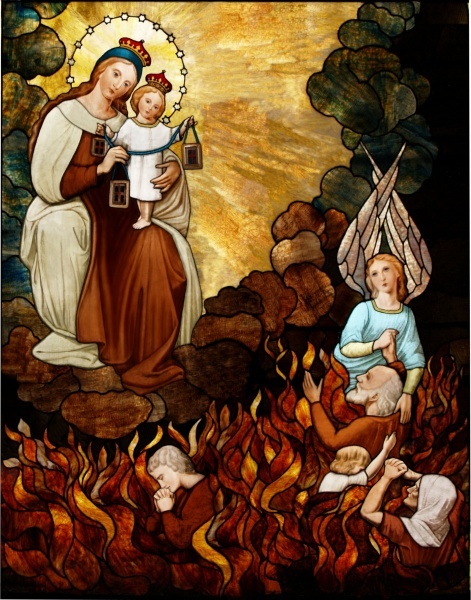 If you’re already in Purgatory, people who pray to Mary for you, people who light a candle to Mary or to the saints can accumulate merit that can be applied to you. That’s why when you go into a Catholic Church you see all the candles everywhere, certain people praying for certain people. As long as the candle burns, the prayer goes on. 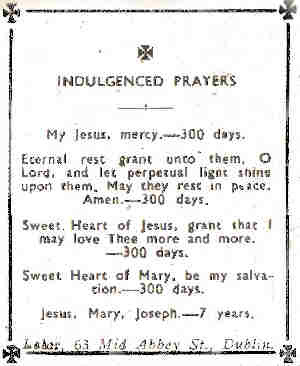 And as long as the prayer goes on, the merit in the prayer is accumulating on the benefit of the person in Purgatory and the merit is being drawn out of the treasury of merit which merit essentially belongs to Christ, belongs to the saints who have excess merit and to Mary. The most effective means, by the way, of helping the dead in Purgatory is to have a priest say a Mass. So you pray, you pay the priest a fee and he says a Mass for the dead and merit is transferred to that person’s account, Purgatory is shortened. You go to the church, you light the candle, you pay the priest to say the Mass, so all of these things are intended to shorten up Purgatory. So you can borrow from the treasury of merit by paying for an indulgence- that’s what launched the Reformation, remember, Tetzel coming along selling indulgences outraged Luther. Luther confronted the issue of indulgences and that launched the Protestant Reformation. Okay, you’re going to get your sins remitted but it’s proportional in the case of the living to the degree of perfection in their disposition. In the case of the suffering souls, the satisfactory operation of the sacrifice of the Mass is applied by way of intercession, as they are in the state of grace and thus oppose no obstacle. Theologians generally teach that at least part of their punishment for sins is infallibly remitted. It’s all saying this: we can’t be too sure about the intention of the priest, and we can’t be too sure about the intention of the person for whom the Mass is being offered. And since we can’t really be sure about that, we have human limitations upon the Mass. Since the priest might not have a pure intention, and the person might not have a pure intention and it might not be really doing very much good, and so they throw in this little possibility at the bottom that there has to be somewhere a finite benefit. In fact, part of their punishment must infallibly be remitted. You’ve got to throw that in. Why? Because you have to pay for the Mass. That’s how the coffers of the Catholic Church are filled- you pay for a Mass. There are inexpensive Masses and there are really expensive ones offered by a Bishop or a Cardinal. There is the votive Mass which is like the routine stuff of life. There is a requiem which is a Mass for the dead, that costs you more. There’s a nuptial Mass for a wedding, which will cost you even more. And then there’s a super Mass offered by a hierarchical figure in the Church which will cost you a lot more. The Catholic Church admits that you could have Mass upon Mass upon Mass upon Mass and you can pay plenty of money. And if the intention of the priest, intention of the priest isn’t right and the intention of the person receiving the Mass isn’t right, it’s not going to have much effect. But they hurry to quickly add, quote, “Part of their punishment is infallibly remitted.” Why? Because that’s really a bummer to try to get people to pay money for something that might have no value. So you stick in a little finite value at the bottom and that makes them come back again and again and again and again to pile up those little finite values. Roman Catholic theology teaches that a person can attend a thousand Masses and still leave this life not fully purified, and go into Purgatory and have another thousand Masses read in their behalf and still not be fully purified because their attitude isn’t pure and the attitude of the priest isn’t pure either. Maybe it is the culmination of all the chapters so far, but this section of Ch. 16 leaves me with a haunting feeling for the welfare – physical, psychological and spiritual- of the average layperson or ‘the Little Guy’. Poor, illiterate, exploited, superstitious, confused and scared, what was their plight, like facing the brunt of not only their physical overlords, embodied in the monarch, but even the seeming ‘cruelty of the Hierarchy/Institution of their own Church’ which they so lovingly and desperately desired to embrace? Too often it is easy to ‘condemn’ the Church Hierarchy for their blatant political and economic motivations and decisions but what about ‘these’ who ‘go astray for lack of a shepherd’? Those made paranoid about their own salvation and that of their loved ones? Living in fear of ‘the End of the World’? Prevented from having a right loving relationship with God? And what was their role in their own plight? How much of this ‘punishment’ was self-inflicted? Were they too naive to realize what was going on? Too weak or helpless to stand against and change? Or complicit- even if silently – in the created environment? Going beyond the past to us today, what role, corporal and/or individual, do we play in promulgating similar abuses to control, denounce and judge people? Are we erecting barriers for others in knowing Christ? What about the churches we attend? Is it time to look at the past and apply its lessons to us? Secondly, I would be amiss if I did not mention the chapter’s discussion of the ‘Visible and Invisible Church”. This topic falls directly in my constant and universal question: “Are we studying the history of the ‘TRUE’ Church?” The concept of the Invisible Church leads to much great discussion and understanding. Finally, I do genuinely want to know if the Church hierarchy and government, then and now, really believe that the ideas, doctrine, policies, etc… they put into effect. Specifically, I will speak of Indulgences (sounds like a dessert doesn’t it?) because of my past life growing up Catholic (and I mean no offence) but also because it seems to be the catalyst for the ‘Reformation’ movement. Did (does) the Church believe that it can give ‘get-out-of-hell-free’ cards? (I realize it is more complex and nuanced than this but this is what most people believe.) Were these schemes authentic or to exploit? It seems that this whole idea and policy is based on the idea of Penance, i.e. the requirement of restitution for sin. How do they square such beliefs and policies with the teaching of their OWN vaunted and revered St Augustine and his ‘forgiveness and salvation by faith only’? The city of Prague, in the kingdom of Bohemia during the 1380s, was a breeding ground for overall Church reform. 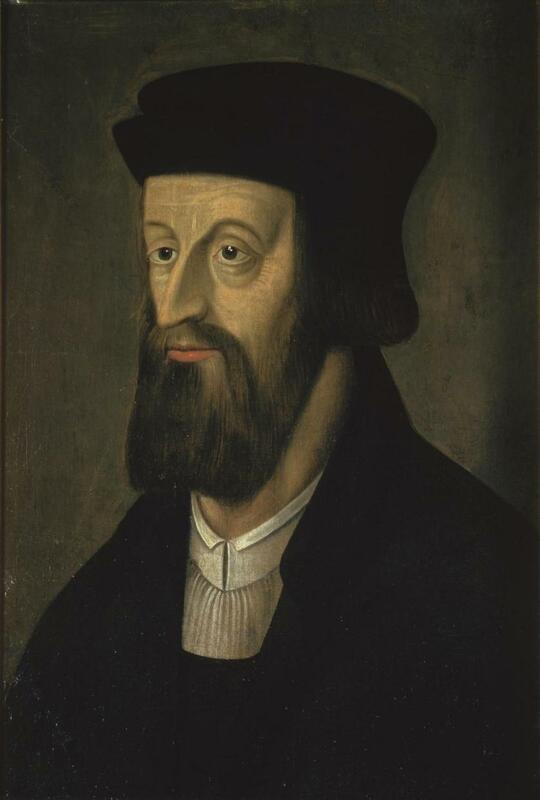 Jan Hus, the dean of the Charles University’s Philosophical Faculty, became fervent by Wyclif’s reforming message and preached a series of increasingly outspoken sermons in Prague attacking the Church, and echoed the sentiments of contemporary politics of the time where Czech nobility started to resent the Church authority’s interference in their affairs. (loc. 11048) He publically spoke out against the moral failings of the clergy, bishops, and papacy. His movement would grow to become an assertion of Czech identity against German-speakers in the Bohemian Church and commonwealth; it gained support from all levels of society in the kingdom. Unfortunately for Hus, in 1415, after he was promised safety while participating in the Council of Konstanz, he was betrayed, then imprisoned, and thereafter burned at the stake by the Church for his actions, having been charged with heresy for his views on ecclesiology, the Eucharist, and other theological topics. This event was to show that the Catholic Church was not capable of dealing constructively with reform. The outcome of his death turned him into a martyr in his native Czech country. In response, Prague established a separate royal Bohemian Church that was at first supported by the nobility. Furthermore, violent conflicts would arise that involved the killing of Catholic loyalists by mobs, as well as destroying Catholic monasteries and church art. These protests against the Catholic Church in Prague were called the ‘Defenstration’. For many years afterwards, there was intermittent warfare around Bohemia, all springing out of Hus’ martyrdom. Hus’ legacy of criticizing and calling for reform in the Church changed the landscape of European history. Because of him and the Hussites, Bohemia became the first part of Latin Europe to separate from medieval papal obedience. (loc. 11094) And this trend would not end. It was interesting to see how powerful ideas and information could spread and take hold of another person and country, thanks in part, to emerging technologies: in this case the mass printing and distribution of Englishman Wyclif’s writings against the Catholic Church that inspired Jan Hus, that eventually changed the course of Czech history and lay the seeds for the Reformation. It shows the power of one man’s will to go against authority when he saw abuse, even at the cost of his life.